When it comes to order fulfillment technology in distribution centers, workers can be outfitted with RF scanners, voice-directed work systems or a combination of both. In 2016, survey results compiled by Zebra Technologies suggest that DCs typically don’t adopt one-size-fits-all solutions. Statistics showed that 77.4% of warehouses used only RF scanners, with 10.2% of facilities solely relying on voice systems, and 12.4% utilizing a mix of both processes. However, there will be a significant shifting in those percentages going forward. By 2020, only about a third of DCs polled expect to continue using only bar code scanning, while 56.2% anticipate implementing a combination of voice picking and RF scanning. The reasons for the increased popularity of voice-directed solutions are clear. DCs desire speedier and more accurate picking that help improve the bottom line. 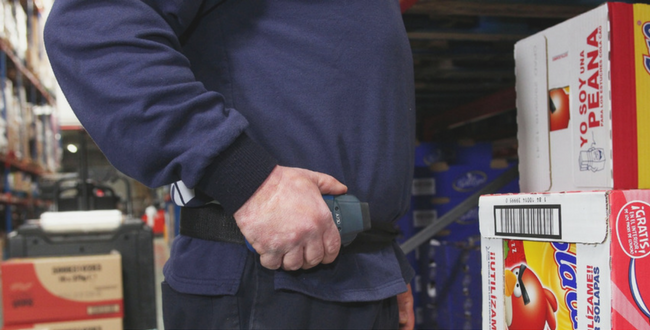 With hand-held RF scanners, workers must either set the device down or tuck it under their arm in order to free their hands to execute picks. They must also read their work instructions from the device’s screen and confirm pick quantiles or account for exceptions using the device’s keypad. All the above are non-productive movements that waste time. They also force the worker to focus on both the RF device and the work they are being instructed to execute. And, that divided focus is the root cause of picking errors. With voice, workers are hands-free and eyes-free to execute their assignments because they receive their work instructions via spoken commands via a wireless headset and belt worn RF device. They confirm pick quantities or account for exceptions by speaking into the headset’s boom microphone. There are no wasted motions and they can completely focus exclusively on executing their work. As a result, voice-directed workers pick 15 to 35% faster and more accurately than those using RF scanning devices. So, Why Voice with RF Scanning? Scanning is an efficient and effective way to capture bar-coded data that needs to be captured during the picking process. So, the question becomes: does your picking process require the capture of bar-coded data such as the product’s UPC code, expiration date, lot code or catch weight? If so, it may be more efficient to scan that data rather than speak it. By 2020, over half of all DCs needing UPC barcode scanning will be using voice picking technology combined with RF scanning because of the meaningful productivity and accuracy benefits delivered by voice-directed work solutions. RF scanning can be useful but the handle, keyboard and keypad on an RF scanning device are not. Get ready for the future today by contacting Speech Interface Design to learn more about how your operation can be optimized with a Vocollect voice-directed picking solution that utilizes RF scanning.